Our guide to Bend will help you find the best breweries in Bend Oregon. There are tons of great breweries in the city of Bend, our city guide will help you find the best breweries. You may have a hard time deciding what to do in Bend, but we make your decision easy. 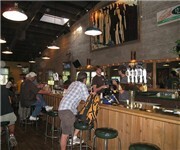 1135 NW Galveston Ave, (541) 678-5228 - 10 Barrell Brewing Company is a brewpub located in Bend OR. 1441 SW Chandler Ave, (541) 388-4998 - Cascade Lakes Brewing Company started in 1994 by three enthusiastic brothers looking for an exciting business in beautiful, sunny Central Oregon. 24 NW Greenwood Ave, (541) 388-8331 - Silver Moon Brewing located in downtown Bend, Oregon. We specialize in hand crafted micro brews with a fun casual taproom and great pub menu. 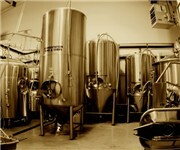 37 NW Lake Pl, (541) 323-2325 - Boneyard Brewing is a brewery located in Bend OR. There are plenty more breweries in Bend. See all breweries in Bend Oregon.